When was the last time you gave your scalp a facial? Yes… you read right. I said when was the last time you gave your scalp a facial? Because, like our face, the scalp is also ‘skin’. And it needs just as much love and care. In fact, hair experts say a good scalp treatment is key to healthy, glossy, sleek strands. And it makes sense: like all other skin on our body, the scalp also needs to breathe. It needs oxygen, moisture and nutrients. And since our hair is rooted in the scalp, it is kind of important! It seems our grandmothers understood this pretty well. I know mine did – she was regularly brewing up lotions and potions for the skin on top of her head and her hair looked super-gorgeous even at the age of 80. So, I am borrowing a page from her beauty diary – two luscious coconut oil scalp treatments that she would use at least once a month to make her hair thicker, longer and silkier. Both remove product build-up, loosen the hardened sebum (natural oil) that clogs hair follicles, bust dead skin cells and boost circulation. First, however, you need to choose your scalp treatment formula. For dry, flaky, dandruff-prone or acne-ridden scalps, take 6 tablespoons of extra virgin, organic coconut oil, olive oil or jojoba oil (depending on your hair type). Mix with 3-4 drops of tea tree oil and 4-6 drops of rosemary oil. 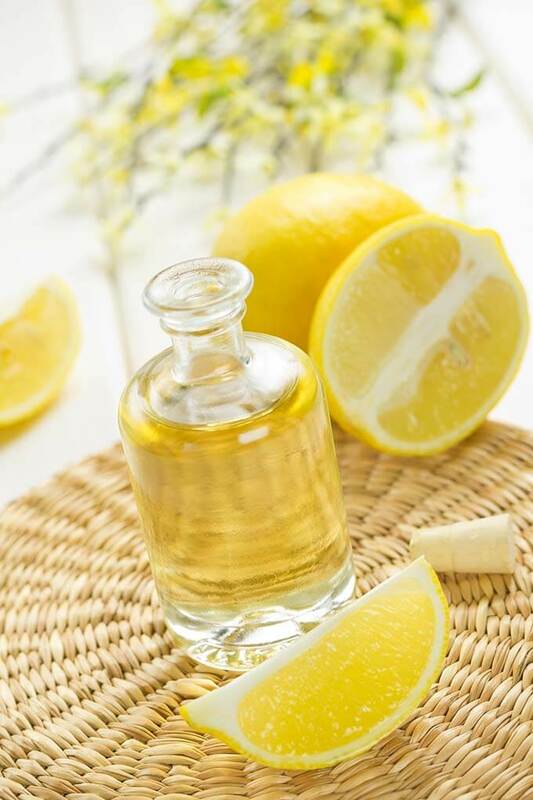 On the other hand, if you have an oily scalp, tons of product buildup or hair that just generally feels lacklustre, mix 6 tablespoons of extra virgin, organic coconut oil with 3 tablespoons of lemon juice and 2 tablespoon of grapefruit juice. Done? Good. Now, apply the chosen mixture to your scalp with a hair dye brush or cotton ball. Make small partings through the hair and work in 1-inch sections to make sure the mixture is evenly distributed. Then give your scalp a good massage (mothers, kind friends or loving significant others are priceless here), rubbing with your fingertips in a circular motion for 5-10 minutes. Let the mixture sit for another 20 minutes before washing off with your regular shampoo. Finish with a good conditioner. Easy right? And totally worth it, as your hair will attest. These ingredients are great for rebalancing the scalp’s oil and hydration levels, ridding it of toxins, calming down the sensitive skin and stimulating the follicles for hair growth, among other things. Neglecting your scalp, on the other hand, can result in hair damage and premature hair loss. I tried this last night with cocnut oil, eucalyptus essential oil and some fresh sqeezed lemon. It felt great and my hair feels to soft today, but I was afraid that my roots would look oily, so I exfoliated my scalp with epsom salt (after I let the hair mask sit for a half hour) and then shampooed and conditioned like normal–but my fears have still been realized: The roots of my hair are very greasy! I thought that with all that scrubbing I had made it impossible for any greasy oil to be left behind for the next day. Any tips, tricks or suggestions? Hi, I haven’t tried this yet but was wondering how often should one use this treatment? Thanks! thanks so much for this! loved it. i mixed more than i needed of the tea tree recipe. can i store it in an airtight container and save it for the next time i want to use it? Do I need to wash my hair with shampoo first as i usually shampoo and then conditioner? Great!! Thanks for sharing 🙂 It’s helpful ! I tried something similar to this today because I recently started my curly girl journey (3 months in). My scalp is no longer oily as I’m not producing as much oil since I stop washing my hair every day that was causing my curls to dry out so much. My scalp has been so flaky and I tried oiling my hair with Avocado oil first and did the apple cider rinse but I would still have some flakes after my wash. Today I did coconut oil, honey, and tea tree oil and no flakes at all! I’m shocked and amazed how well this worked for me. I know that Coconut oil has recently been heralded as the latest trendy way to treat many conditions, but it’s popularity has masked over a lot of truths about the cureently popular remedy. I have read from numerous sources, that it can clog the pores and as such, wonder if it’s advisable to use it on a dry scalp that has issues with hair loss also? Thanks to anyone who can advise.